Soybeans into cc oats in central KS, seeded with a JD 1560 drill with upgraded seed boots (90-series), SDX firming wheels, Thompson closing wheels. We tend to be rather complacent about soybean stand uniformity—non-uniform distance between plants as well as non-uniform timing of emergence. As an agronomist, I stopped worrying about it a long time ago (whereas—in sharp contrast—I’m super-concerned/pedantic about uniform timing of emergence for corn, cotton, sunflowers). Soybeans are very forgiving, it seems. A recent study[i] from Argentina with good methodology attempted to answer if there were any yield effects, and how much they were. The scientists planted replicated plots with a small-plot planter in 20″ rows at higher than desired populations, and hand-thinned them 6 – 8 days after emergence to obtain either uniform or non-uniform spacings. At 1st trifoliate, to create a non-uniform timing of emergence effect within some of those plots, they removed certain plants and placed a seed where the plant was, followed by a small irrigation to ensure they germinated. 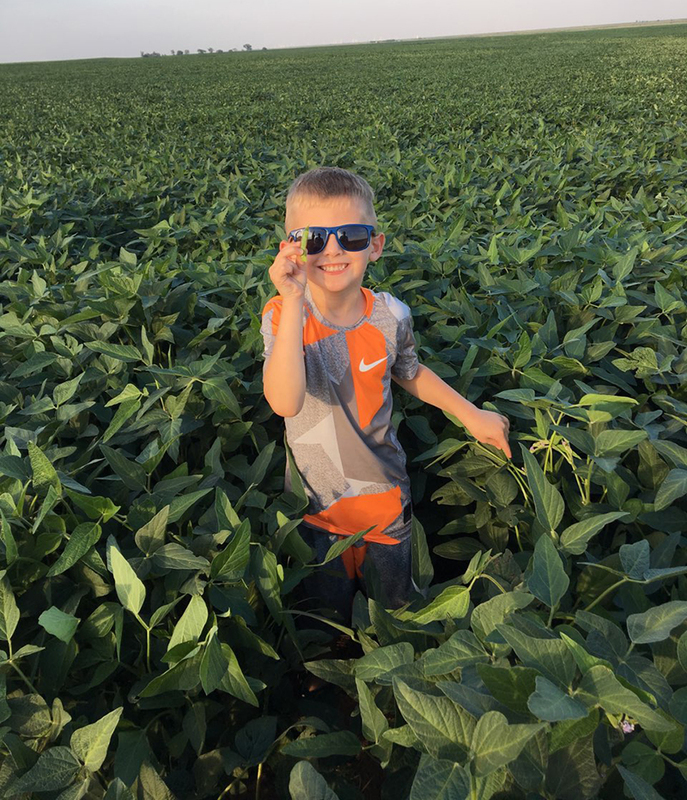 Over a 3-yr period, at two locations, they used early and late planting dates, and two different maturity groups of soybeans, as well as two populations. An extremely thorough study! What they found was ~6% yield loss from spatial non-uniformity (average plant spacing across all treatments was 8.2″, w/ standard deviation of uniform at 4.7, but 9.0 on non-uniform), and ~8% yield loss from non-uniform timing of emergence (note that not having half the plants germinate until the others were already 1sttrifoliate is a fairly large timing difference). The Group IV variety was less sensitive to non-uniformity than the Group III, unsurprisingly (shorter maturity = less time for branching to fill in gaps; also, their Gp III variety had low branching capability, whereas their Gp IV had high branching ability). Higher plant populations didn’t overcome the yield loss from non-uniform timing of emergence. Row spacing is also important, especially for Canada & the northern-tier states of USA: 15-inch may be too wide to capture all the yield potential. This usually means going to 7.5- or 10-inch drills for soybeans. As for using 30-inch planters, I think the evidence is pretty solid that these are too wide for soybeans—not only giving up yield, but also making for too many late-season weed escapes. 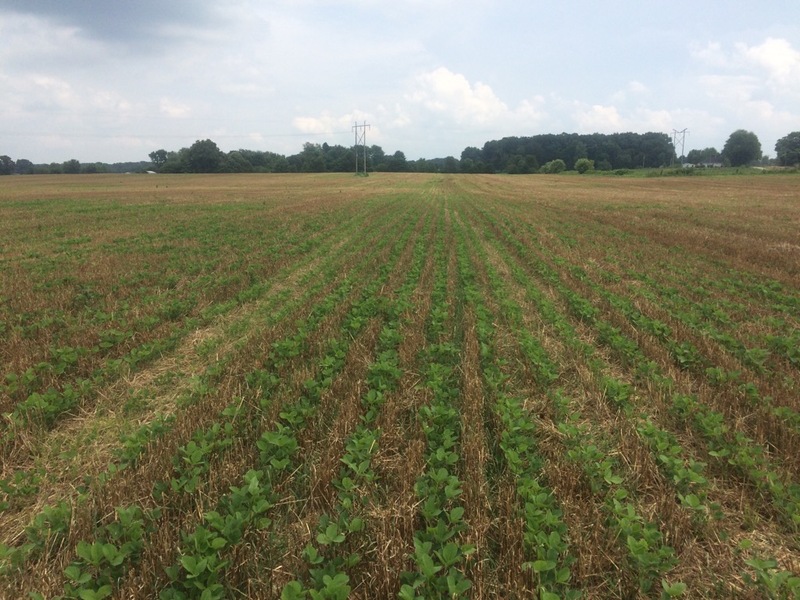 Soybeans double-cropped after wheat harvest, put in with a single-rank (15-inch) JD 1990 CCS equipped with UniForce. One of the issues with using split-row planters in central KS or other parts of southern USA is that you often can’t get enough downforce due to lack of frame weight—and, on Deere’s splitter planters, there’s really not much of anyplace to add significant amounts of weight—at least not without some serious engineering involved. (Note that automatic hydraulic downforce helps this somewhat, as it wastes less of the frame weight by applying too much downforce to rows that don’t need it; however, there are still going to be times it simply doesn’t have enough). South of I-80, there’s also a bit of concern (erosion) as to how much stubble and stalks are being trampled by all those gauge wheels, although it’s not an issue if cover-crop rye is used ahead of the beans (some drier regions can’t do this). Assuming these things don’t dissuade you, there may be opportunity to spread the cost of a split-row planter over additional crops on your farm, such as milo (grain sorghum), dry beans, etc., assuming that narrowing up the rows doesn’t result in seeds being farther apart in the row (on average) than the distance between the rows. While the Argentine study does confirm what we’ve kinda known (albeit very imprecisely)—that soybeans are more forgiving than some other crops—it does show that it’s worth trying to do better for this crop also. (Especially given the price of soybean seed! Can you do a better job with seed placement, and pare back your seeding rates?) 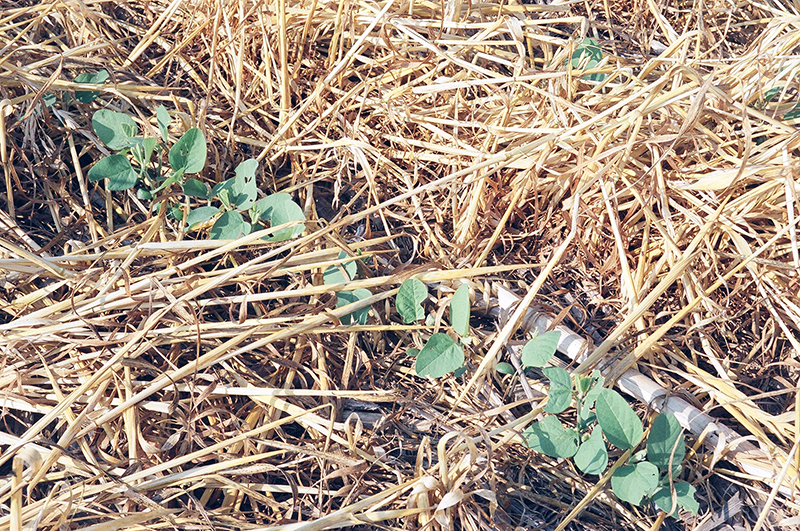 Whatever you’re using for soybean seed installation, Exapta can help you get the most from it—see our DVDs No-Till Seeding Explained and No-Till Seeding School in particular. [i] A. Masino, P. Rugeroni, L. Borrás & J. Rotundo, 2018, Spatial and temporal plant-to-plant variability effects on soybean yield, Eur. J. Agron. 98: 14-24.